The theology of Vincent of Lérins is often reduced to a memorable slogan: "We hold that faith which has been believed everywhere, always, and by everyone." Thomas Guarino argues that this "Vincentian canon" has frequently been taken out of context. This book introduces Vincent's thought and its reception in Christian history, exploring Vincent's creative and innovative understanding of the development of doctrine and showing how it informed the thought of John Henry Newman. 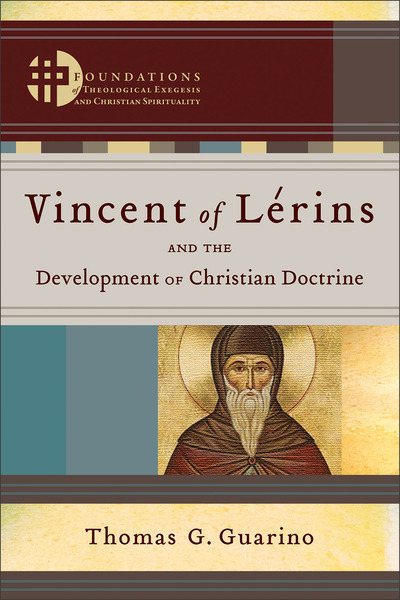 Guarino contends that Vincent's theology contributes significantly to theology and ecumenism in the twenty-first century. The volume is the second in a series on the church fathers edited by Hans Boersma and Matthew Levering. The Foundations of Theological Exegesis and Christian Spirituality series critically recovers patristic exegesis and interpretation for contemporary theology and spirituality. Each volume covers a specific church father and illuminates the exegesis that undergirds the Nicene tradition.